Windows? Windows Explorer does not do that. the solution in Folder Sizes list in ShowSize. Has basic features, quickly installs. There is a definite reason why Windows Explorer does not show the sizes of folders. Because Windows Explorer is a file manager and finding sizes of folders is a time consuming operation. 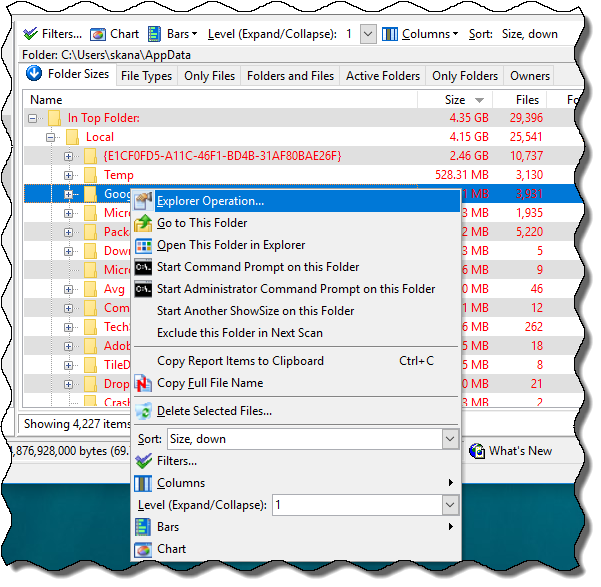 It will slow down the file management operations for which Explorer is designed. For the same reson, you should not even go looking for plugins for Explorer that find folder sizes. You need special software like ShowSize that is designed for this purpose. ShowSize goes through the complete hierarchy of folders and files and calculates the folder sizes to show to you in its Folder Sizes list. Click here to read more about the Folder Sizes list in ShowSize. The accompanying screenshot was taken on Windows 10. For clarity, only the List Panel of ShowSize is shown. 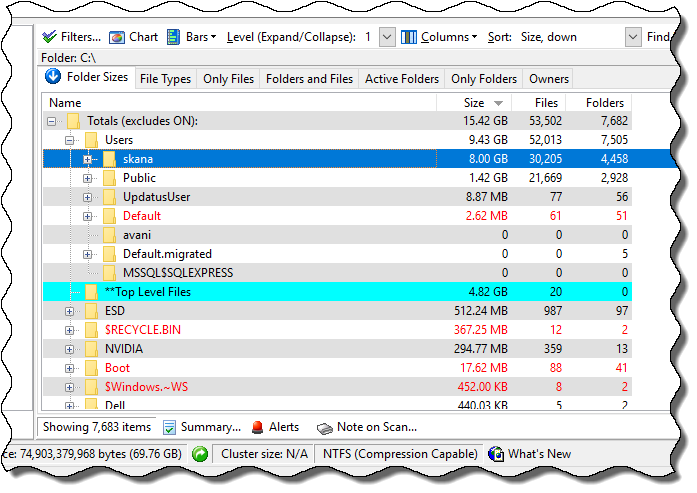 As you can see, the "Users" folder is taking up considerable disk space in the picture. I expanded the "Users" folder further to see which subfolder is occyping the most disk space. 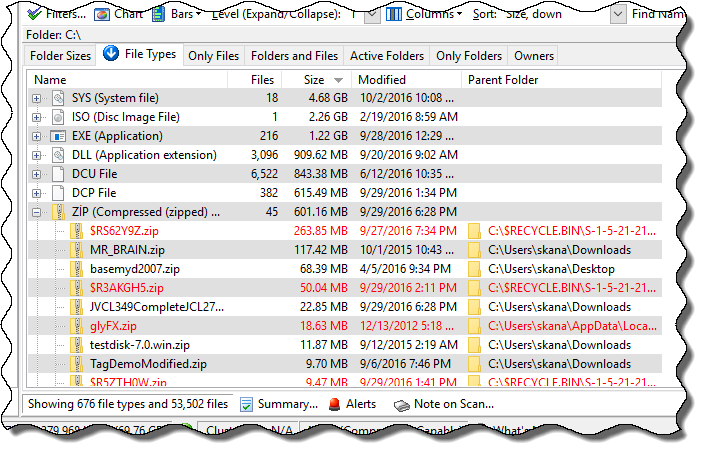 Whenever you need to check disk space, you can use this list to identify the large folders. If you happen to recognize a folder that you no longer use, you can remove that directly from the interface. You can take help of other lists too, given below.